Mobile World Congress (MWC) 2019 won’t be happening until 25th February, however, companies are beginning to send ot media invites to thier MWC briefing. Chinese phone maker Xiaomi for the second time in its entire life will be in attendance, according to a source who has been briefed on the company’s plans. According to the source, Xiaomi will be holding its media briefing on February 24, the day before the MWC 2019’s official start and a week after the debut of the Galaxy S10. The confirmation comes shortly after a leaked invite appeared online revealing the same date. The invite first shared by a Twitter user has since been removed, and while it didn’t directly mention what product to expect from Xiaomi press event, it did reveal a slider that suggests the firm might be preparing for the launch of the 5G variant of the Mi Mix 3 slider phone. With the likes of OnePlus, Oppo, and the Galaxy S10 X set to appear on stage at the MWC, the event definitely is shaping out to be mostly about the upcoming 5G connectivity. 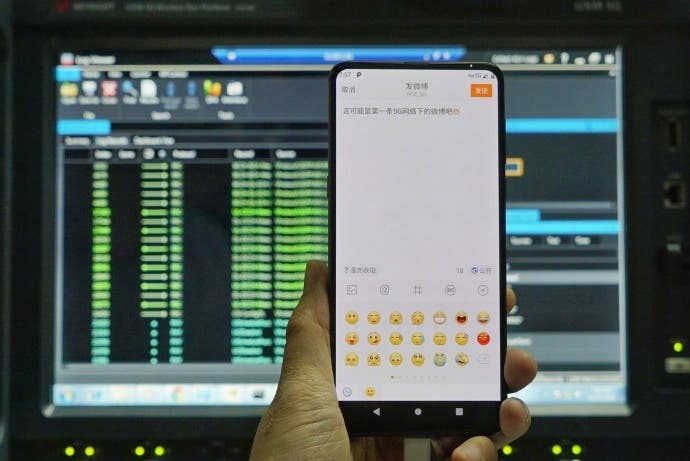 Following its initial launch in October, Xiaomi at China Mobile’s Partner Conference in Beijing demoed a 5G version of the Mi Mix 3 that could come packed with Snapdragon X50 modem with purported download speeds of up to 2 Gbps. We are not certain if there will be other alterations that will be made to the device, that and more information will become clearer as we inch to a launch date.